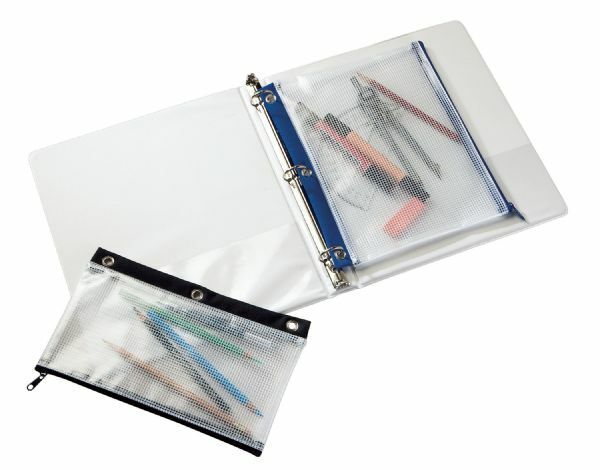 Made from high-quality see-through vinyl with mesh webbing these handy pencil pouches are designed to fit standard 3-ring binders. * One side features heavy-duty grommets on a durable nylon band. * The other side has a full-length zippered opening. The size is 5" x 10". 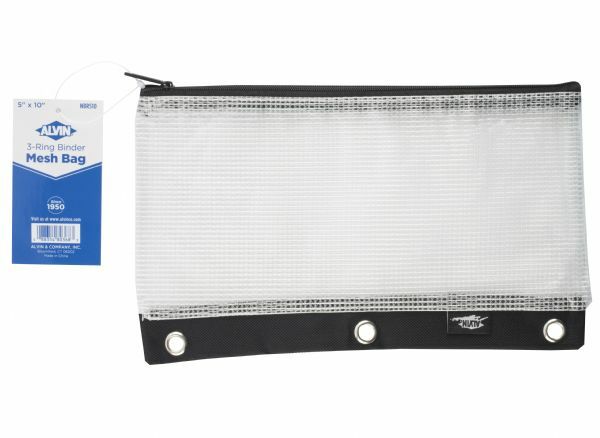 The type is mesh bag. 10" x 5.75" x 0.25"